SEPTA trolley in Center City. SEPTA commuters who rely on the city's trolley system will have to make adjustments for a fifth consecutive summer as crews embark on the nine-day Trolley Tunnel Blitz beginning Friday. 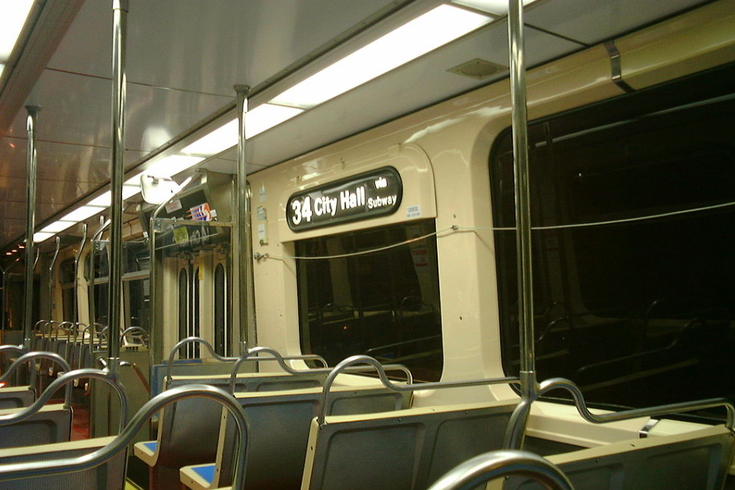 Starting at 10 a.m. on July 13, trolley routes 10, 11, 13, 34 and 36 will not operate in the Center City tunnel until 4 a.m. on Monday, July 23. The service shutdowns are due to power, track and station improvement projects that progress on an accelerated timeline to limit interference with commuters over the course of the year. On the affected lines, trolley service will begin and end at 40th and Market streets, using alternate diversion service to route commuters through Center City using the Market-Frankford subway line. "The trolley tunnel is used 24 hours a day, making it difficult for our crews to get productive work windows to complete necessary repairs and improvements," said SEPTA General Manager Jeffrey Knueppel. "The Blitzes have allowed our crews to replace switches and thousands of feet of rail and overhead contact wire, and undertake an aggressive improvement and cleaning program at the trolley stations. The program we implemented five years ago and have executed over the past four summers has made a significant difference on how the Trolley Tunnel infrastructure performs over the course of the year." "The projects we work on during the blitzes improve safety and service reliability throughout the Trolley Tunnel," said Knueppel. "We thank our customers for their continued support and understanding during these closures. We will work to make this year's blitz as productive and successful as in previous years."